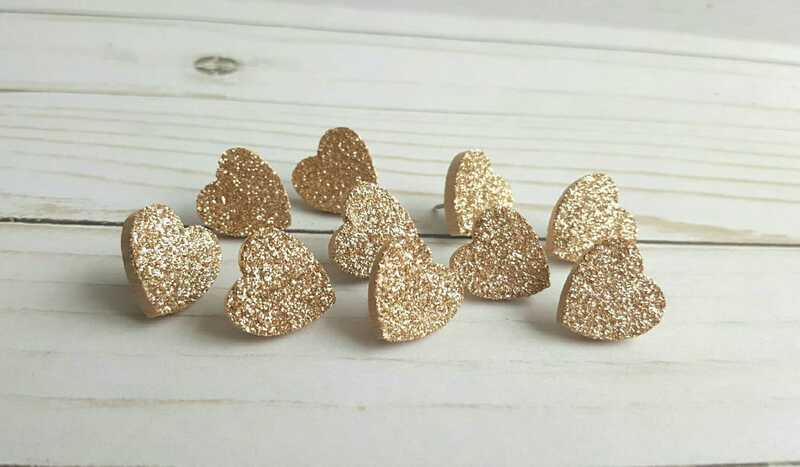 Champagne Gold Glitter Heart Thumb Tacks. Push Pins. Glitter Hearts. 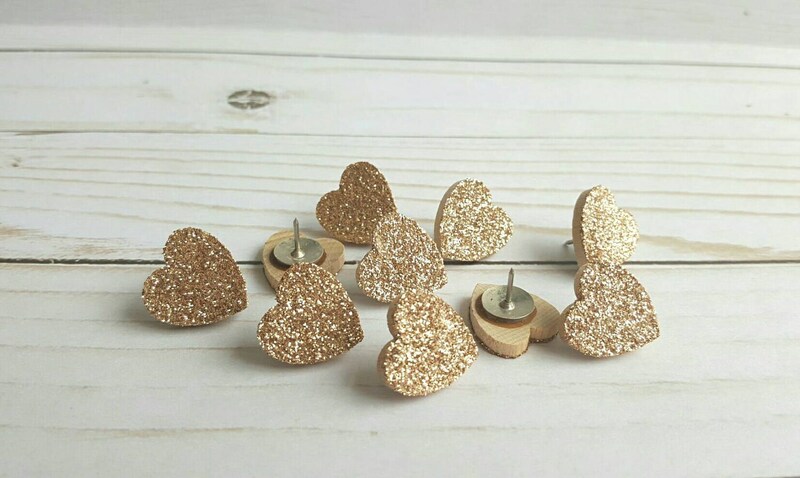 Heart Push Pins. Memo Board Pins. Office Accessories. Map tacks. 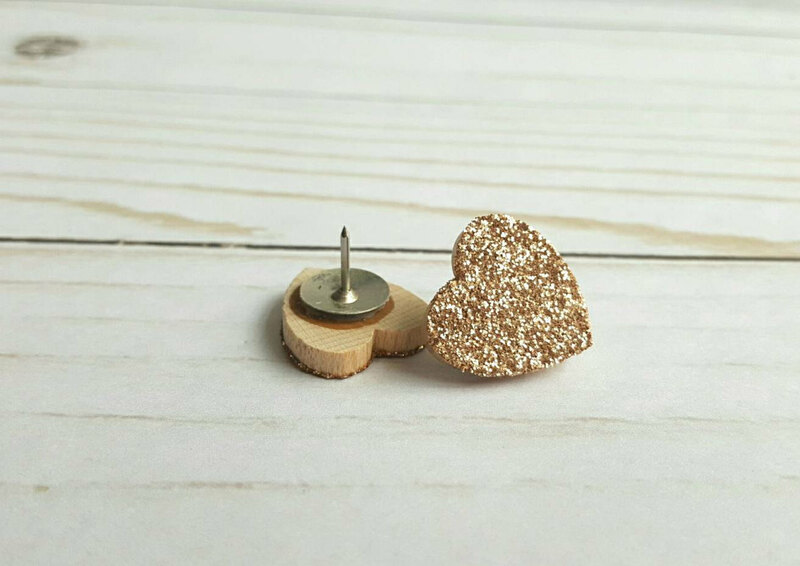 A set of ten (10) champagne gold glitter wooden heart shaped thumb tacks/push pins.